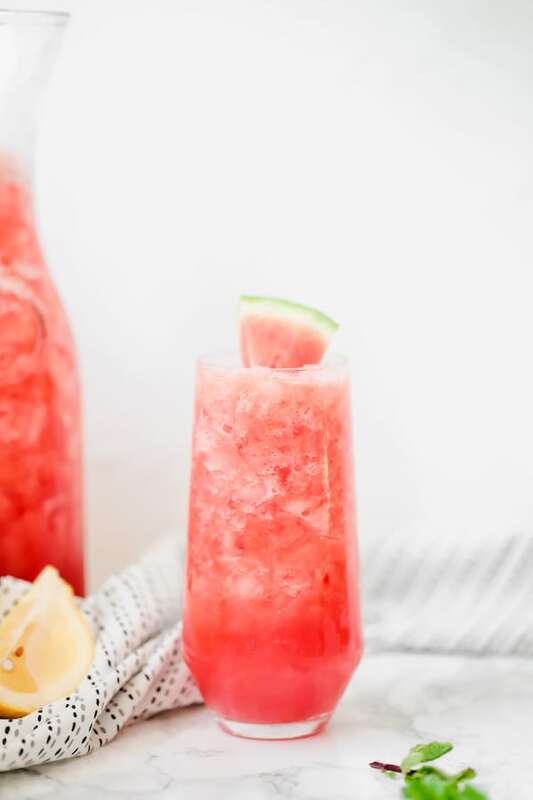 This watermelon lemonade mocktail is the perfect summertime refresher to serve at brunch or on a warm afternoon! It’s paleo, AIP, and free of refined sugar. After I transitioned to a real food diet, fun drinks kind of fell by the wayside. So much focus is given on making recipes from scratch, that we don’t really venture outside of a smoothie here and there. With summer coming up, and with Mother’s Day Brunches coming up, I wanted to make a fun mocktail style drink that everyone will love! 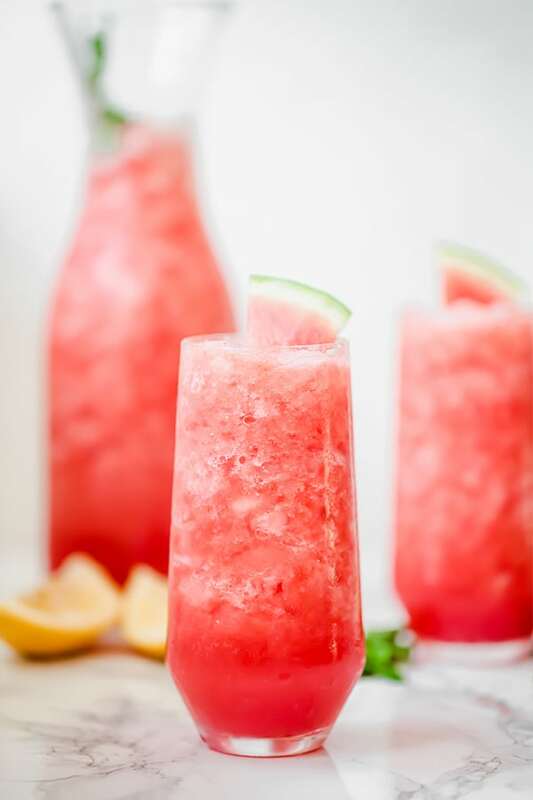 This watermelon lemonade mocktail is so easy to make, and it tastes absolutely heavenly! It’s the perfect combination of refreshing and sweet without any refined sugar. Using a seedless watermelon would be best, but you can always run in through a strainer! You can use fresh lemon juice or a high quality bottled lemon juice. These could technically be left out, but it really adds to the overall flavor! Using a high-speed blender, combine the watermelon, strawberries, lemon juice, water, honey, and mint. Blend until well combined. The mixture will be a liquid. Use a strainer or cheesecloth to remove any seeds in necessary. Pour in the crushed ice and blend for 10-20 seconds and until well mixed. Drink immediately and with watermelon slice and mint for garnish. Im allergic to strawberries, could I just leave them out or are they ley to the flavor?